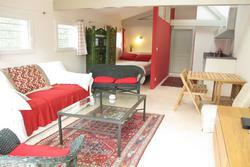 Seasonal rental for 9 people. 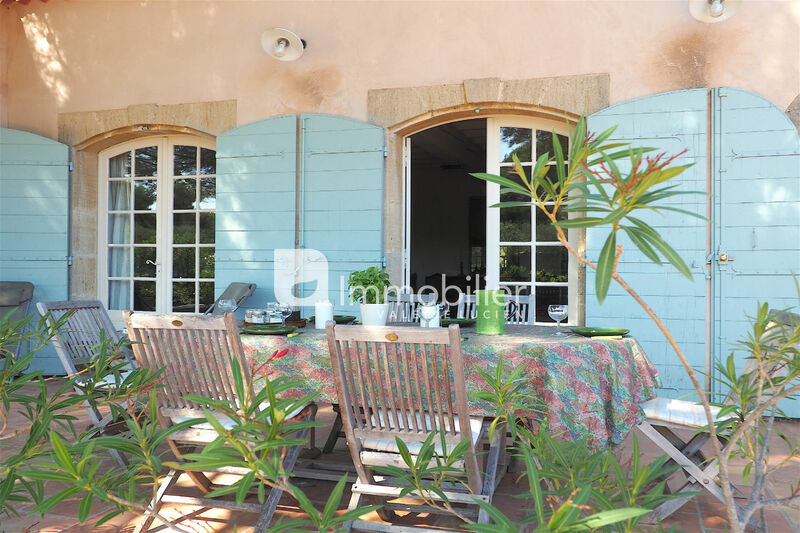 The Mas L'Echapée Belle combines the charm of Provencal architecture with a contemporary and refined decoration. The independent Mas and storey offers 4 bedrooms, 2 bathrooms, a kitchen, a large living room and dining room with fireplace. 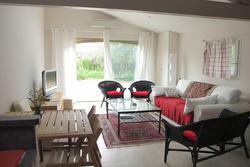 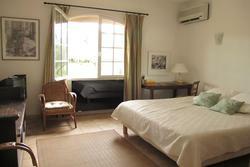 An independent studio offers a sleeping area for 2 people, living room and kitchen, a bathroom with shower and toilet. 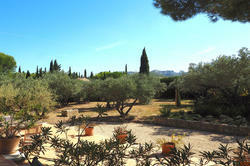 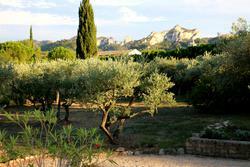 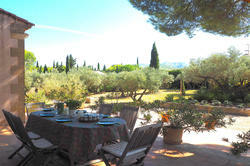 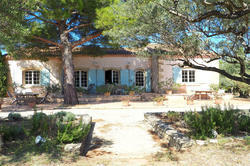 The south-facing terrace is shaded by a pine tree and the 2,200 m² garden, dotted with olive trees, is fully fenced. 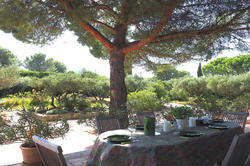 Secure swimming pool of 12 m x 6. 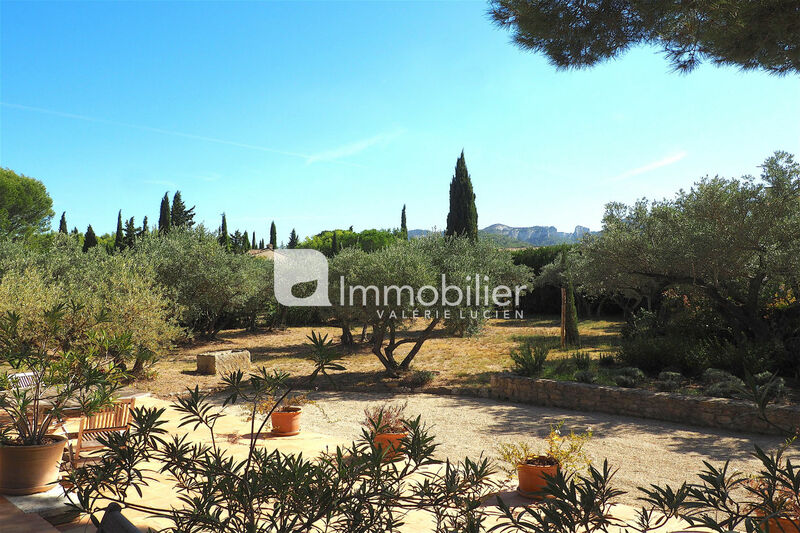 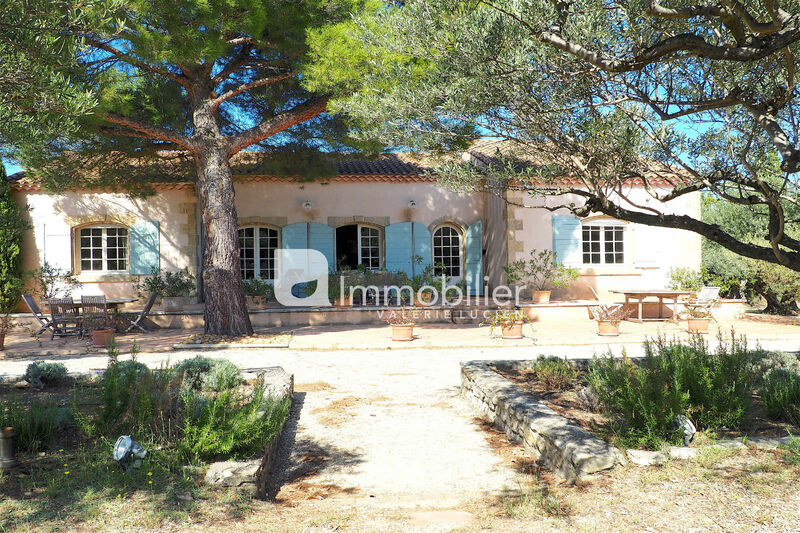 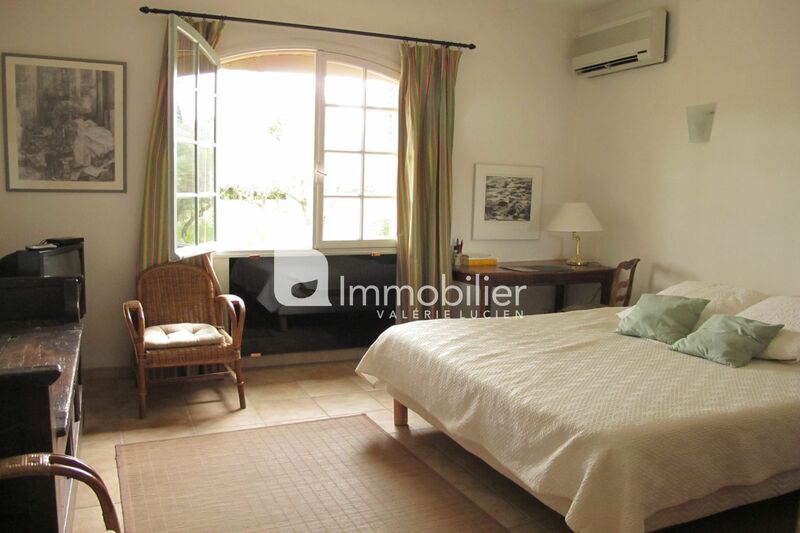 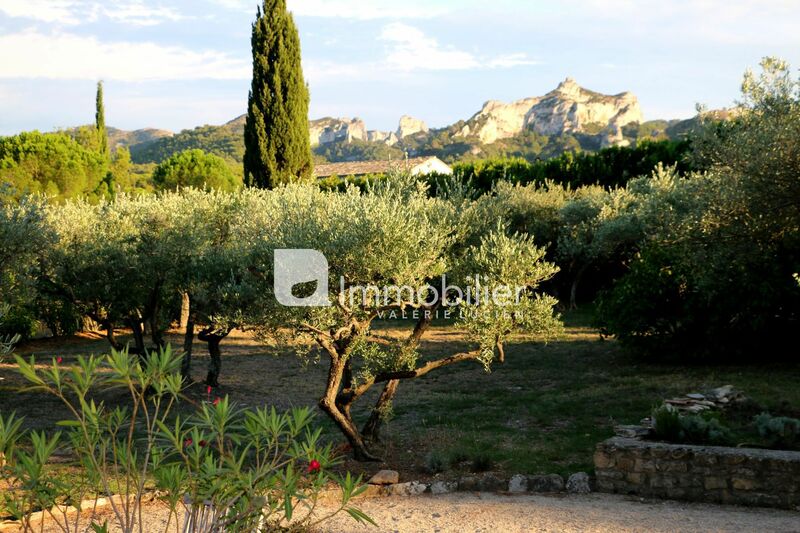 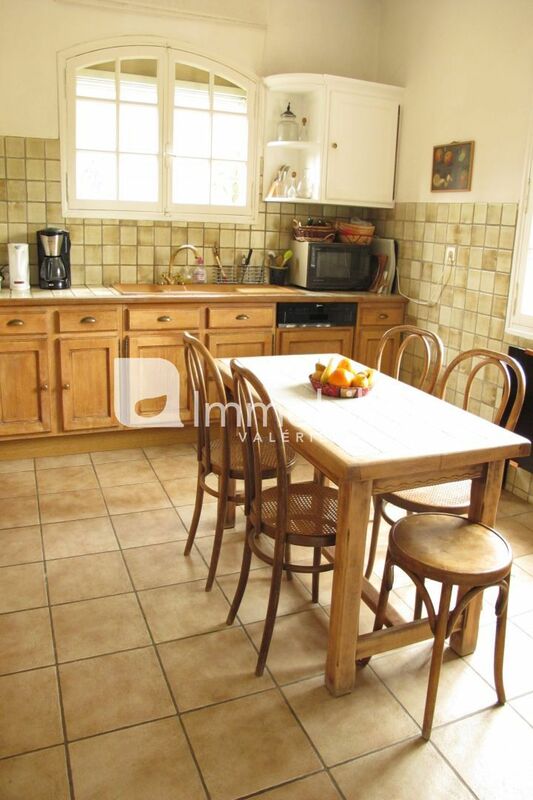 Located 10 minutes walk from the city center, you will enjoy its beautiful view of the Alpilles and direct access to hiking trails..